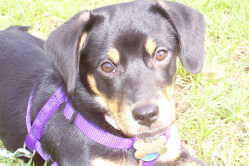 This is our dog- Candie. We got her from the SEMO Humane Society and she is about 2 years old. She is a beagle-terrier mix.